China is the hometown of tea. As a result, Chinese tea sets have been renowned for exquisite craft and beautiful design throughout history. However, the most famous and delicate tea sets were produced in the Qing Dynasty (1644-1911), especially during Emperor Kangxi and Emperor Qianlong’s reigns (1661-1796). 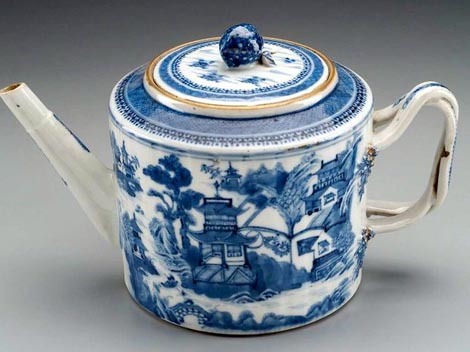 Tea sets, which have existed almost as long as tea has, include everything necessary to make tea, not simply the teapot and teacup. This means a teapot, teacup, tea tray, tea pitcher, tea bowl, and other utensils. Generally speaking, Qing Dynasty tea sets were made of porcelain or pottery and produced in a place called Jingdezhen. Artists and workmen preferred blue-and-white patterns painted with landscapes, figures, plants as well as traditional pines and cranes. Since the Qing Dynasty, Fujian bodiless-lacquer tea sets, Sichuan bamboo tea sets, and Hainan shell tea sets also emerged and became popular. In the period of Emperor Kangxi (1661-1772), Chen Mingyuan, a famous pottery workman, created prune teapots and pumpkin teapots, which became famous for their creative combinations of shapes and functionality. Later, dark-red enameled teapots emerged and also became popular. 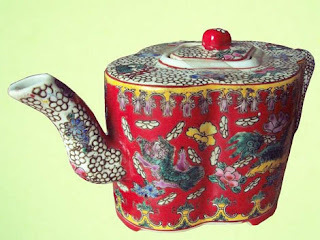 In the palace of the Qing Dynasty, there were many dark-red enameled teapots, often painted with bamboos and flowers. The Qing imperial family apparently collected over 30 kinds of different tea annually. Except for tea given to ministers as an award, it was generally kept in special warehouses. Many tea sets were also preserved in some imperial living places. There are also tea-drinking rituals. In some big and serious ceremonies, such as the sacrifices, weddings, funerals, birthday-celebrations, tea-making and drinking played a central role. 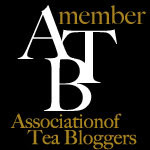 Taking the birthday-celebration as an example, there are three procedures in the whole tea-drinking process. People not only washed hands and cleaned mouths before drinking the tea, but also composed poems after drinking based on the features of the tea to express their feelings. hello nice articles, could you tell me when red teapot production time? it is museum collection ? The red teapot is a museum piece and I am not sure on the exact time but I believe it is less than a 100 years old. Thank you for visiting the blog.